Every Third Tuesday throughout the Winter and Spring, professional genealogist Hillary Schau will be in the Computer Classroom at these these free drop-in sessions. Hillary can help you organize your research, navigate the ever-expanding universe of online research, and discover new research avenues tailored to your questions. Already deep into your family history? Drop in to trade research tips and share success stories. No pre-registration necessary. 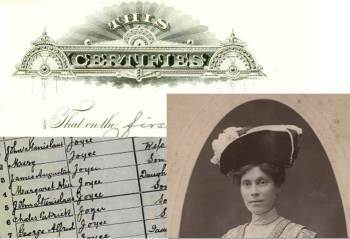 The Holyoke Public Library provides free access to Ancestry Library Edition and American Ancestors from all Library Computers. The History Room is also open until 6:00 PM on Tuesdays.